The Heart Face Sponge lets you show your skin some love with this konjac sponge and added rich pink clay. This sponge is the ultimate beautiful gift, or just a treat for yourself! In this new premium packaging, the sponge looks as good as it feels on the skin. The pink clay infused sponge will treat and delicately kiss tired or devitalised skin. Perfect after sun exposure or after any temperature extremes. 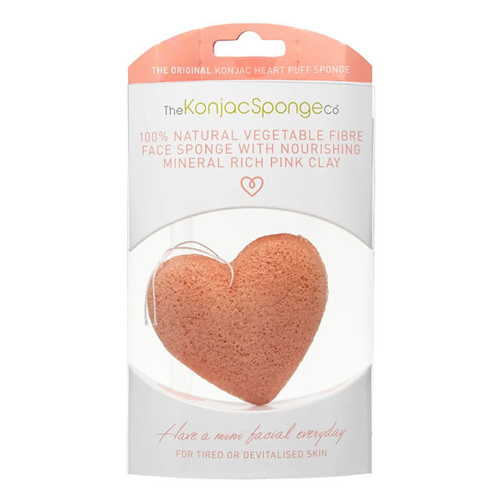 The Konjac Heart Face Sponge is additive free, helps balance pH levels and is suitable for sensitive skin leaving the skin feeling radiant and rejuvenated. Below are reviews of The Konjac Sponge Co Heart Face Sponge - Pink Clay by bodykind customers. If you have tried this product we'd love to hear what you think so please leave a review. 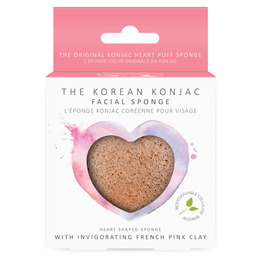 The Heart Face Sponge lets you show your skin some love with this konjac sponge and added rich pink clay. This sponge is the ultimate beautiful gift, or just a treat for yourself!